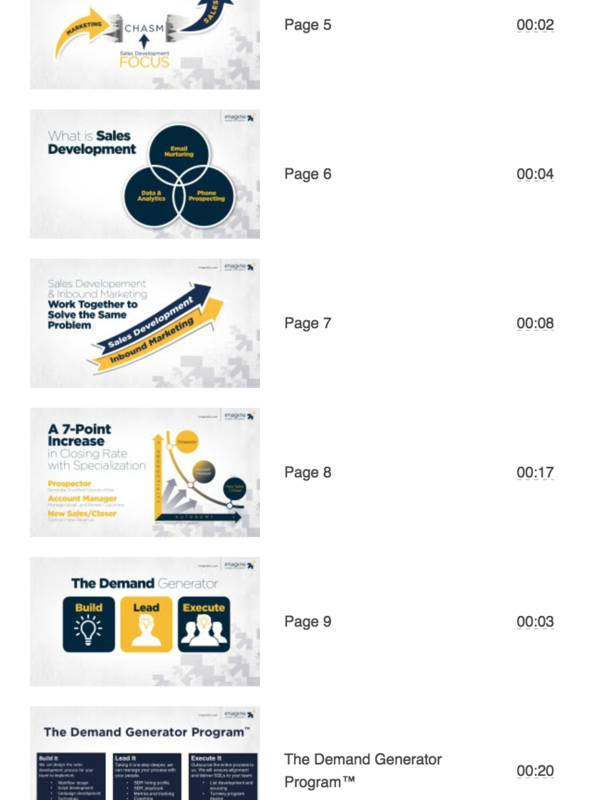 Sales and marketing organizations create a tremendous amount of content, virtually everyday. In addition those items like website, blogs, white papers, ebooks, etc. 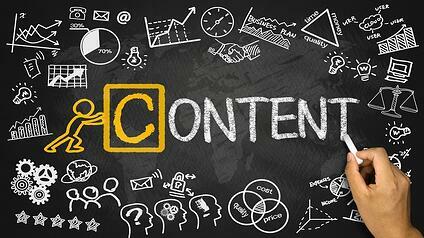 that we consider “content marketing,” emails are being constantly written, brochures and sales collateral are being created, proposals are developed and delivered and more. Yet despite the time and money expended, for decades there were no means to be able to assess the real effectiveness of the content. You were left to debate what was or wasn’t working based upon feelings and beliefs. Of course, one of the biggest problems with this approach is that what sellers see as important is often quite different from what the buyers perceive as important. The good news is that today there are many tools that you can use to assess how your visitors, leads and prospects are engaging with a variety of your content. In addition to tracking key performance indicators, it’s important you pay attention to more qualitative items as well. Here are some of the primary areas we recommend. Reality is that what you like or what you think aren’t particularly important if growth is your primary goal. It’s not even about what your prospects like that matters. What is important is what your prospects do when they’re on your website and blog. Two powerful tools we use to track this for ourselves and our clients are heatmaps and recordings. With heatmaps we’re able to see what visitors are actually doing. In this example, we can see where people are clicking on our site. This is a recent map of our home page. A quick review highlights some important areas where we can improve results. We can see what people are clicking on (and what they’re not) and make some adjustments. For example, there are several clicks on “convert more opportunities” in the second section of our site. That’s not currently a link, and the behavior there tells us that maybe it should be. Also, we can see that we’re not getting clicks (yet) in the Generate More Leads or Close More Sales sections. A word of caution, watching some of these sessions can be very painful, as you ask yourself what you were thinking originally. I’ve never viewed a session without learning something. We use Hotjar for these capabilities, and there are others that provide services here as well. The marketing side of the house has been able to dig into data and analytics for years to learn how people actually behave and interact with content. The sales side hasn’t had that benefit. That too is changing. 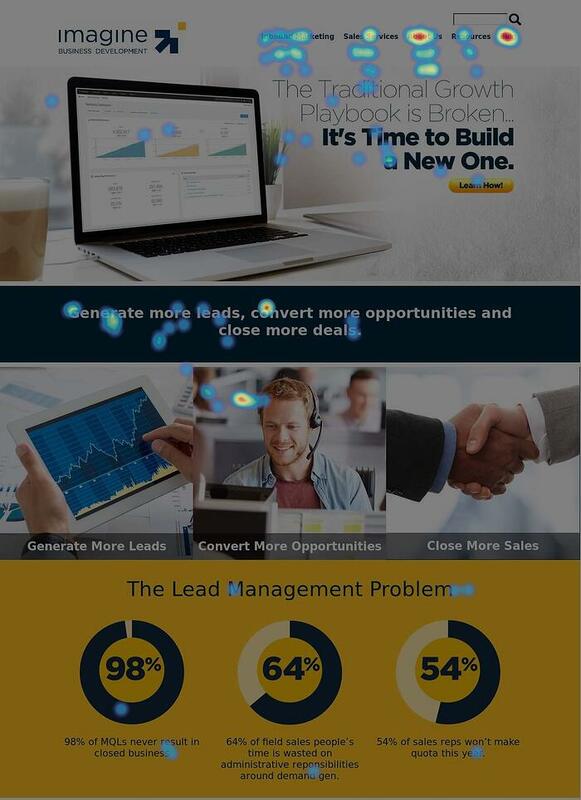 We use a variety of tools to assess how well our sales collateral is working and how people are engaging in it. For example, we regularly use powerpoint decks to deliver our presentations and proposals. I’d always made my decision about what to include, and what order to put things, more by gut than by fact. Now, I can see how people really engage with our presentations. I vividly remember putting a presentation together where I reviewed the analytics and learned that the pages that I thought were the killer pages had virtually no engagement whatsoever. Other pages that I thought were less important got far more attention and engagement. Rest assured that resulted in a quick adjustment to the presentations we were delivering. Another area I like to pay attention to is the utilization of the content by our salespeople. Tools like PandaDoc allow you to quickly see how your content is being used by your salespeople, as well as how prospects are engaging with it. As I’ve shared in my presentation at Inbound (and my encore presentation here) the time has come for sales and marketing decisions to become fact and data-backed, rather than by gut. Using tools like these will strengthen your ability to make better, faster decisions that stimulate growth.